I selected help, and then “my Norton” and the connect screen came up and after a few minutes, the same issue – still could not connect. I tried many times but no connection. I then connected with support – on line chat session. The agent seemed to be doing stuff that was not connected to the issue. This, it seemed, when on for hours – he even ran “power erase” and some of the item that it was flagging trouble me. He – stopped it and it reported that nothing was removed. Now he wanted to do re-install, which seems to make no sense since that I what I did in the first place. Are you still seeing this issue? I too saw this around the time you first posted. In my case, just retrying again a little later fixed it. It may have been some localized temporary server issue. It involves resetting your default browser. What happens when you click on my link? It could be related to not having a default browser set. Any way, here is the information about changing your default browser. You say backup is grey. 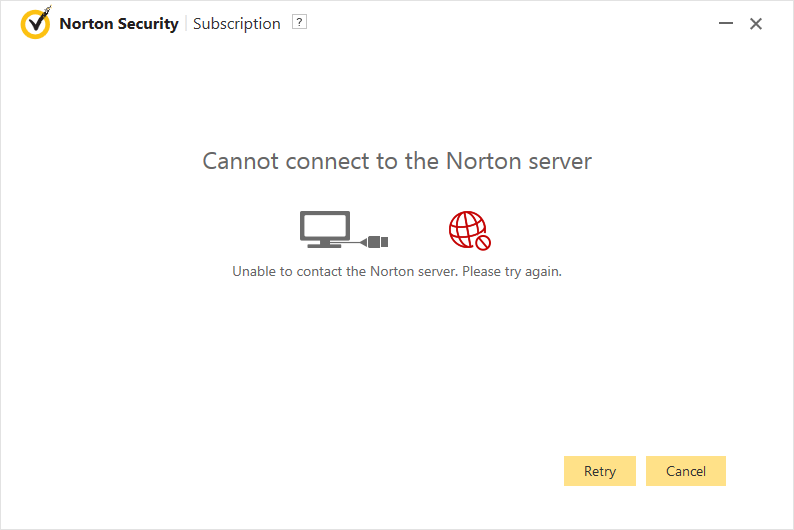 I take it you have the Norton Security Premium product, and it was working before the OS upgrade? Click on My Norton at the top right, then click My Services. Choose you current subscription and click on the Download button. Then follow the directions to install your product. Be sure you run LiveUpdate manually a few times, restarting as necessary, until no updates are available. Please make sure you have your key handy. Then use this link instead of the download button. www.norton.com/latestnsbu Run Live Updates as peterweb said. I can try to get a Symantec Employee to come and try to help you out. But they can't come until Monday since they aren't around on the weekends.